Rebels provide first competitive action for Panthers. 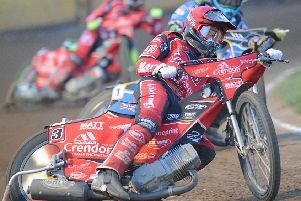 The new-look Peterborough Panthers open their competitive season with a Premier League Cup tie at home to Somerset Rebels. That meeting is scheduled for Sunday, March 22 at the East of England Showground. Panthers then host Rye House in the same competition on Friday, March 27. Ipswich and Plymouth make up the rest of Panthers’ League Cup group. Panthers also open their Premier League season at home against Sheffield on Friday, April 17. The city side have been drawn against Plymouth in the Premier League KO Cup. Those ties are scheduled for a May Bank Holiday weekend (May 22 & May 25). (Home meetings 7.30pm start unless stated).